The unique technology of the Cool Towel maintains a significant chill for hours without the addition of un-natural chemical activators. You may not have real supernatural power, but that doesn’t mean that you have to be robbed of your optimum energy when you get hot. 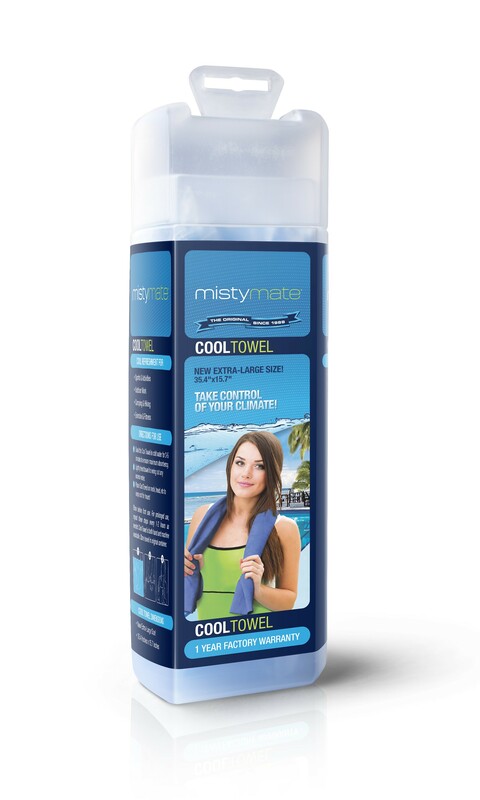 Use the MistyMate Cool Towel for a chilly cold sensation in even the hottest environments. Whether you’re in the sun, sand, or at the gym, the Cool Towel is sure to provide your body the cool relief you need to keep going. The unique technology of the Cool Towel maintains a significant chill for hours without the addition of un-natural chemical activators. It’s pre-cooled straight from the package! Simply re-soak in cold water when you need a fresh jolt of cool. The Cool Towel will keep you refreshed, revived and at your peak performance. Use the Cool Towel and make others wonder about your supernatural power. Extra Large Size: 35.4" x 15.7"